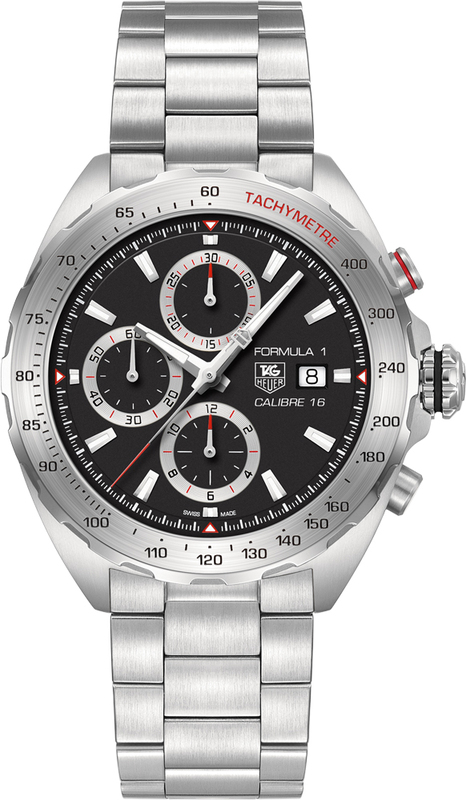 Buy this new Tag Heuer Formula 1 Automatic Chronograph caz2010.ba0876 mens watch for the discount price of £1,912.00. UK Retailer. Fixed bezel with white tachymeter scale and 'TACHYMETER' in red lettering. Black dial with silver rimmed black subdials. Applied luminescent index hour markers. 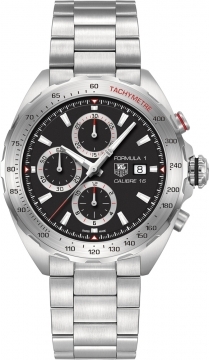 Tag Heuer Caliber 16, beats at 28,800 vph, & has an approximate power reserve of 42 hours.